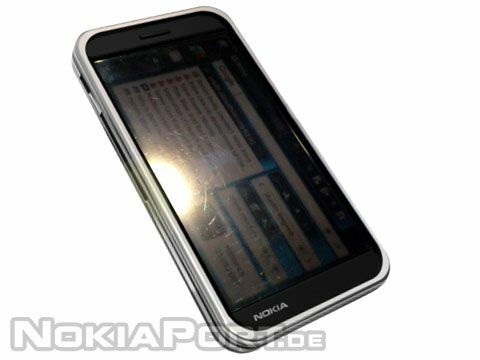 Although much time hasn't passed since the N900 was launched, the guys at Nokia seems to have already come out with its successor, the N920. The N920 just like its predecessor, the N900, will have loads of features up on its sleeve. However this full touch-screen phone won't be featuring a qwerty keypad. It will sport a larger 4.13 inch WVGA screen and will have capacitive screen (in place of N900's 3.5 inch resistive one), thereby enabling multi-touch input. It will have all the connectivity stuff seen on the N900 - GSM with HSPA, Wi-Fi, GPS, TV-out etc, and will posses advanced VoIP capabilities. The 5.0 megapixel camera unit will remain same, and so will be the CPU, which is a 600 MHz ARM Cortex A8 core embedded on the Texas Instrument's OMAP3430 platform. The internal memory size also remains same at 32 GB. It is rumored that the N920 will be powered by Maemo 6 OS , the next version of the current Maemo 5.